© Estate of Ed Rossbach. Photograph by R. H. Hensleigh and Tim Thayer. As an artist, educator and author, Rossbach succeeded in bringing critical attention to the fields of basketry, found-object art making, and non-loom weaving, making him one of the most significant figures in the history of fiber art. Rossbach began his career at Cranbrook, where he studied ceramics with Maija Grotell and weaving with Marianne Strengell, earning an MFA in 1947. Rossbach’s study of the history and structural composition of textiles and baskets from a round the world informed the objects he made. Ceremonial Vessel with Shells, with its plaited wood structure and dramatic colored xerography, demonstrates Rossbach’s interest in Japanese and African objects and his ability to distill these distinct cultural references into a singular and integrated artwork. 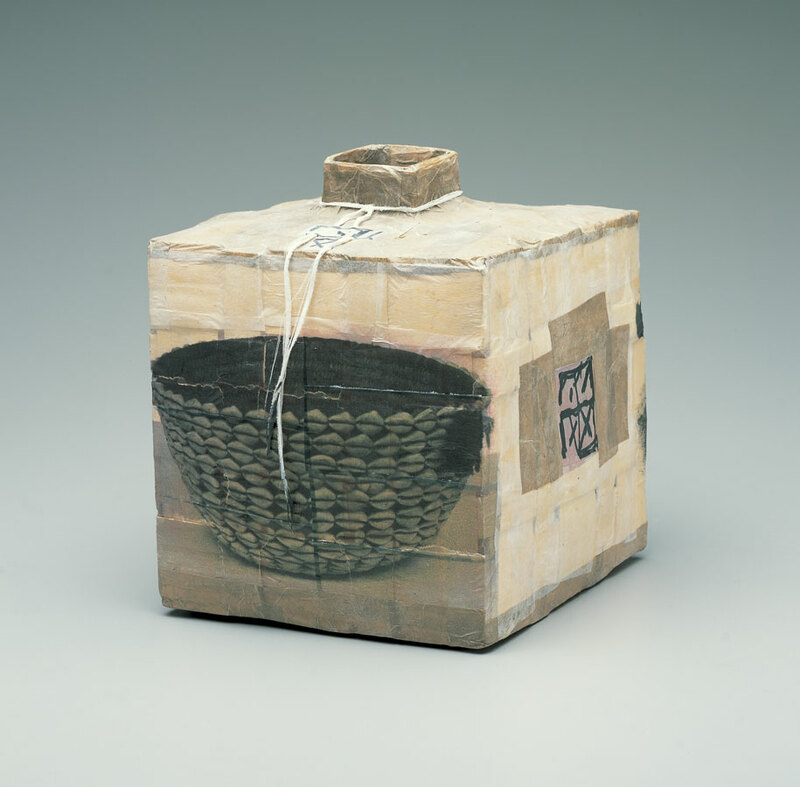 His focus on the vessel, especially ethnographic baskets, and his creative use of materials in the creation of art objects also lends this piece humor and irony by creating a vessel within a vessel, perhaps more than a passing nod to Marcel Duchamp.